Declutter your space and keep your valuables safe with this charming lift top chest. 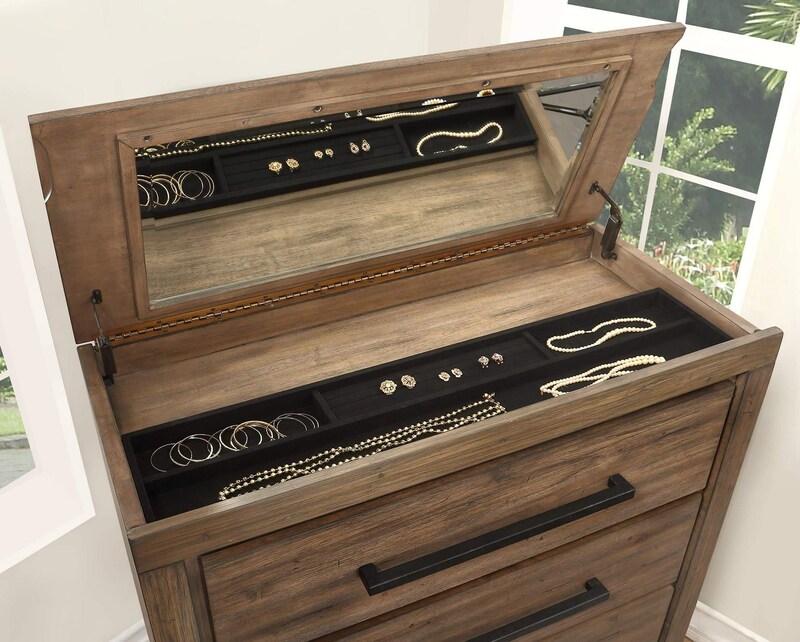 The hidden velvet-lined storage tray protects your necklaces, rings, earrings, and watches from both damage and prying eyes. The Haven Lift Top Chest with Jewelry Tray by Austin Group at Great American Home Store in the Memphis, TN, Southaven, MS area. Product availability may vary. Contact us for the most current availability on this product.